Can crowdsourcing help find the missing Malaysia Airlines flight #MH370? On SciCast, we’ve posted three questions about the missing plane. Can crowdsourcing help to locate it? Following are the questions. Click any of them to make your forecast (register or login first). Also, see the discussion and background tabs of each question for more details and links to news sources. Where will the Malaysia Airlines Flight MH370 be found? 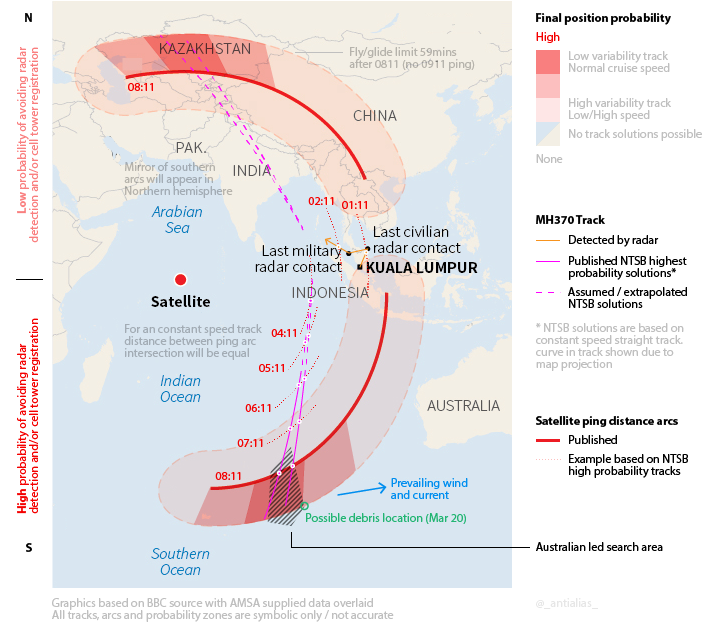 Where will Malaysian Air Flight MH 370 be found (extended version)? The extended search region uses this map. See this blog post for info on how to explore conditional probabilities. Click here to read more about approaches to crowdsourcing Search & Rescue.